You’ve chosen your shoes, and you’re ready to walk down the aisle, but how do you make sure your wedding shoes don’t rub on the big day? Thankfully, all it takes are a few tip and tricks to keep your feet happy and your mind on the ceremony. One of the best ways to make sure your shoes are ready for the day is to break them in before the ceremony. Wearing them for just 30 minutes a day for a few weeks is usually enough to help mold your new shoes to the shape of your feet. There are so many inserts on the market that there is something for everyone. Some help to protect from any ongoing issues with your feet while gel inserts can be the perfect amount of comfort you need as you walk down the aisle. Did you know that heating up your wedding shoes can be all it takes to stretch them to a larger size? A blowdryer is often all it takes to loosen up the fabric before you slide into your new shoes. Just be sure not to hold them too close to the heat for too long. While this might seem to go against most things we know, buying wedding shoes that are slightly larger than your typical size could help you out in the long run. It helps to give our toes extra room to move as well as space to breathe. Believe it or not, but you can line the inside of your shoes with plush fabric to make them that little bit more comfortable before showing them off at the altar. This can also be great if any thin straps might rub your skin throughout the day. Yes, you read that correctly. Those small straps can often run our delicate skin. Sometimes, all it takes is a thin layer of deodorant on your skin to help reduce the friction, just like oiling the cogs on a machine. Thinking about the blisters on our feet probably isn’t something we want to be doing on our wedding day. 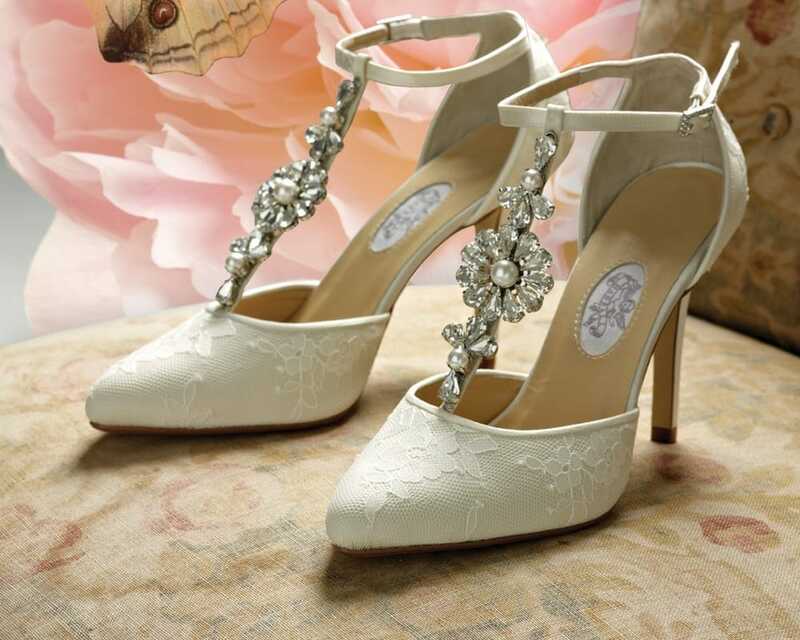 Thankfully, there are ways to make sure your wedding shoes don’t rub that should help to prevent any accidents.